Pursuant to Michigan legislation, section MCL 388.1618, the Board approved budget for Woodley Leadership Academy may be found below for public viewing. 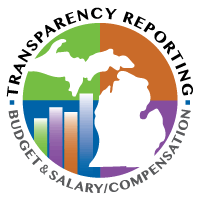 The board approved budget adheres to the reporting guidelines defined in Section IV of the Michigan Public School Accounting Manual, subsection B.01. Not applicable, 2018/2019 is the first year of operation. Employees of Woodley Leadership Academy are not represented by any union; therefore, no Collective Bargaining Agreement is utilized. The top school administrator was paid $26,923.10 in Medicare wages for the 2018 calendar year; benefits paid – $2,418.59 – employer taxes, $1,804.28 – worker’s compensation, life insurance, health, dental, and vision insurance, employer match for 401K.